Tamil groups have staged a protest against former Sri Lankan President Mahinda Rajapaksa’s visit to India. 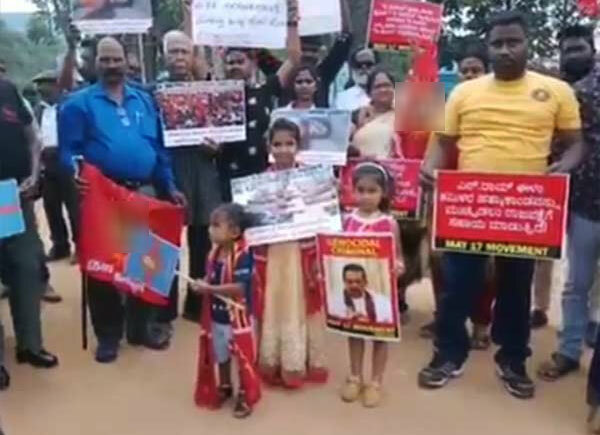 Tamil activists and members of the ‘May 17’ Movement participated in the protest which was held in Bangalore, where Rajapaksa arrived this morning to attend a forum. The protesters held placards which read “Rajapaksa Go Back” and condemned the decision to invite the former Sri Lankan President to India. Rajapaksa is on a two-day visit to India and delivered the keynote speech on India-Sri Lanka relations at a forum organized by The Hindu in Bangalore. This is his first overseas trip since his appointment as Leader of the Opposition last month and second visit to India in the last six months. Rajapaksa had visited New Delhi and met with Indian Prime Minister Narendra Modi last September.